All friends of Erin now do drink a ruby toast to thee. Then here's the flag of Germany, floating proudly free. 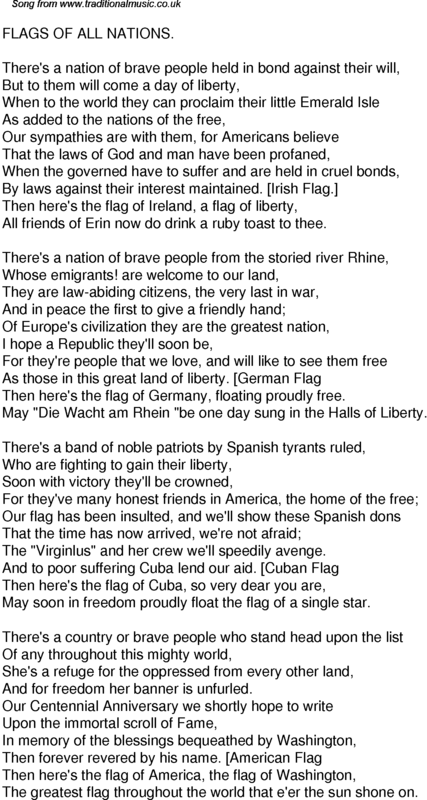 May "Die Wacht am Rhein "be one day sung in the Halls of Liberty. The "Virginlus" and her crew we'll speedily avenge. May soon in freedom proudly float the flag of a single star. And for freedom her banner is unfurled. The greatest flag throughout the world that e'er the sun shone on.